catastrophic event that changed these peoples lives. 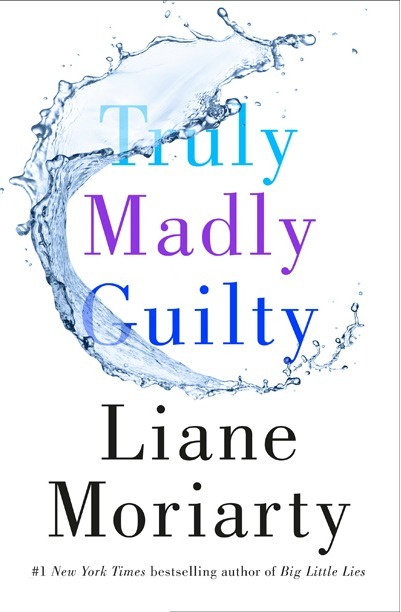 In Truly Madly Guilty, Liane Moriarty explores the fragility and resilience of friendships, marriages—in this case, how they endure after the unimaginable happens at an ordinary barbecue. The addictive magic of Liane Moriarty comes in her sharp insight of human nature coupled with her ability to weave a suspenseful story. Something terrible has happened and we must know what exactly occurred that sent such significant ripples across these people’s lives. Foreshadowing peppers the narrative, which cuts back and forth between what happens leading up to, during and after the infamous barbecue. We meet Erika and Clementine, best friends since they were kids, but we see the cattiness, jealousy, and resentment that actually defines their relationship. Erika and her husband Oliver are hardworking adults, who live their lives by calendars, who relish in excel sheets, who find peace in order and planning. As the story progresses, we see what and whom has shaped Erika’s life to be as such. Clementine and Sam have a busy, often chaotic life with their two little girls, but they each love what they do. Clementine is an accomplished cellist who prepares for the audition of a lifetime, while Sam (who is in many ways Mr. Mom) works, but still hopes for a third child. We also meet the attractive Tiffany and larger-than-life Vid, Erika’s neighbors, who invite this crowd for an ordinary barbecue which would forever change them all. In some ways, what happened exposes truths about each person, each couple. These raw and real revelations they have to face head on, especially as relationships fracture as a result. 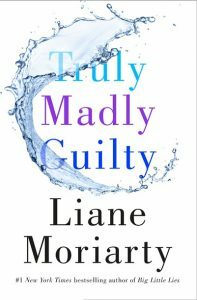 Liane Moriarty has tackled various issues in her novels, and with Truly Madly Guilty, the spotlight shines on how lives can crumble in a single moment. How something can break you so deeply, that you struggle to put yourself back together after it happens. And how sometimes, even when you do put yourself back together, you are a different whole than when you started. The pieces of yourself reorganized in a way you don’t recognize. The novel follows Moriarty’s winning formula of teasing out the mystery, but it didn’t pull the same power punch we saw in Big Little Lies. Still, her sharp storytelling draws us in with well-developed characters and the problems which plague them. And by the story’s end, we’ll be reminded of how we must value those we love the most, before it’s too late. Audio Book, but the reviews scared me off… Thought I’d wait a while. I’ve listened to a lot of her book’s audio versions (inc this one)… and they are great! I wondered how this would stack up to Big Little Lies, because the way you describe the format seems really similar. I love all of her books (that I’ve read) and keep comparing them to Big Little Lies, when I suspect that none of them will ever be as good as that. Even though they’re all fantastic. Thanks for the review! Definitely the same formula, but BLL packed a bigger punch.